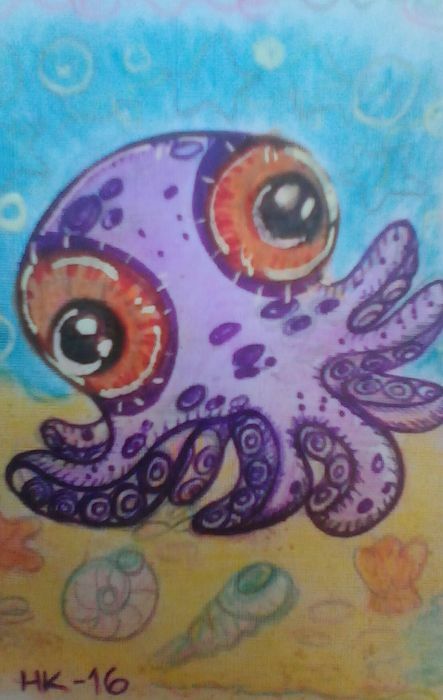 Watercolors, sharpie markers, colored pencils and white chinese ink on 220gr vellum textured linen paper, postcard size. Mayumi Ogihara says: Cuuuute! ♡♡♡	~ Reply? Paola Zunico says: awwww lindo	~ Reply? Tricia Danby says: Cuuute	~ Reply?